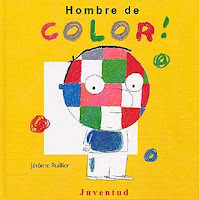 La genial historia del niño reciclable by Irene Jurado Sobreviela, is a short, easy-to-read story about a little boy made of paper, who has a hard time keeping himself from getting wet! A great story to read for Earth Day! El marciano accidentado, by Zorely Rubio and Pablo Sacristan, is a short story about a martian who lands on earth, and the friends who come to help him with his problems. The message is a nice one (about cooperation and friendship) and the illustrations are fun. The text is a bit advanced for beginners - probably better suited for interemediate learners. Fun! 弟子規教學讀本_初級一 - a series of Chinese language books based on the teachings of Confucius for kids. Also available are level 2 and level 3. Camina, based on story by Ana María Martín, illustrations by Moraíma Ruiz Alba - this beautifully illustrated story is about a girl who encounters many problems in life - and then finds that she can deal with the challenges better when she's not alone. GREAT for intermediate and even advanced high school students. Marquitos, el niño que salta, by Tomas Bubis with illustrations by Martin Dasnoy, Marquitos is a young boy who loves to jump. When the neighbors start complaining, Marquitos' parents forbid him from jumping and the boy becomes very sad. It's not until his parents try jumping themselves that the whole family learn to love it! A cute story with a good message - great for any kid who has ever felt misunderstood! Sailing with Daddy, by Streisel, is an adorable wordless picturebook that can be used with any language. Have students narrate the story in the target language and even provide an alternative ending. Fun! This sweet book tells the story of Oliver and his hearing issues. 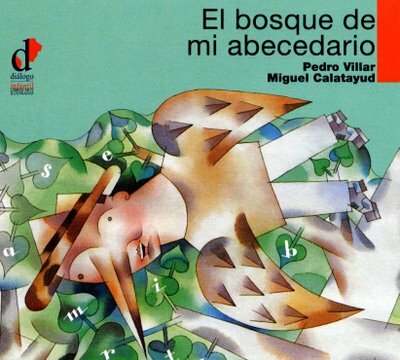 The language in the story is simple enough for intermediate students of Spanish, and the sensitive treatment of the topic will appeal to students and teachers alike. Cute! For some reason, there are a lot of books available on Issuu that involve monsters! I'm not complaining, mind you. I love monsters! And this book is full of really weird and interesting ones! Fun for intermediate and advanced student of Spanish. COOL! This booklet from the European Union is a really fun collection of activities and information in 11 languages (including English, Spanish, French, Italian and Portuguese). I love the individual pages for each European country with maps, currency and bits of language. FUN! !